Henry E. Croasdaile arrived in Panama in 1870, a member of the Royal Navy set to serve in the Pacific Station. 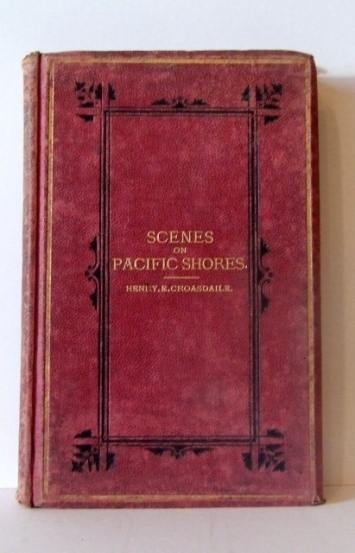 His book, Scenes on Pacific Shores (London, Town and Country Publishing Company, 1873), described his travels along the Pacific coast of North America, as far north as Vancouver Island, and south as far as Argentina and Brazil. About a third of the book's subject matter deals with hunting and fishing on Vancouver Island hunting and his tour of duty in Esquimalt. In 1879, retired Royal Navy lieutenant Croasdaile was made a justice of the peace in Victoria. He later became an agent for the Hall Mines Ltd. in Nelson. [BCBW 2014] "Transient" "1850-1900" "Outdoors"